We choose our partners and suppliers very carefully! 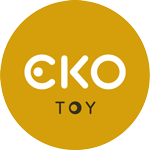 Read below a short introduction about each of the makers of the beautiful creations featured at Ekotoy. Below each brand, you can also see a sample of the products we sell. Ovidi is an architect, a product designer and a dreamer. Cristina is a sociologist, product consultant and has her feet on the ground. Together they are HORY. Their toys are 100% made in Catalonia using just of cork and other sustainable materials, in collaboration the Centre Especial de Treball El Vilar de Blanes, a center for mentally disabled people of working age that cannot access employment otherwise. 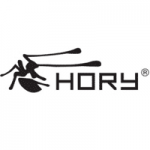 HORY toys are and environmentaly sustainable, socially responsable, fun, educational and encorage recycling. Jaroslav Juřica is a product designer that presents and develops his own concepts under the brand of Hubero Kororo. This platform exists to create design with conceptual overlap, one­off and limited editions of products and non-commissioned works. Kallisto Stofftiere was founded in the South of Germany in 1990 and, after having settled in near Freiburg from 1993 to July 2009, they have settled settled in lovely Berlin from 2009. Their toy production focuses on child-oriented, attractive designs and the use of organic cotton for nearly all of their products. Only the cats are made of 100% Mohair. 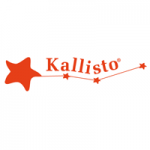 Standard Kallisto toys are made with organic cotton fabric and filled with sheep wool, but they also have a whole range of vegan products made from 100% organic cotton fabric, organic cotton fibres for the filling and a 2% polyfibres in the nose. Vegan toys are suitable for those with wool allergies. All toys can be washed by hand or in a washing machine (wool program) – even those with the music box inside! And of course, all their soft toys meet the current safety standard CE EN71. KORXX designs and creates cork toys that are meant to be versatile, fun and suitable for all age groups. They can be played by children and parents sharing and learning together. Cork toys have a very smoth and pleasant surface texture and they are highly sustainble right from the start because they are made from renewable resources, free of harmful emissions and durable. KORXX toys are made out of granulated natural cork that is free of any additives and detectable toxic elements. Not only are they very durable as they are nature friendly and can be recyclable. Cork used in these toys is harvested as a re-growing material in a sustainable forest economy, according to the sustainability forest regulations FSC. The pigments used to give colors to the cork blocks are anti-allergen (no aroma, phthalate, heavy metal). 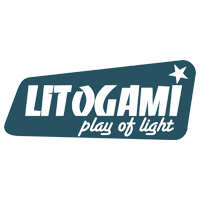 Litogami is a French company whose creations are designed to be fun and educational, teaching children about sustainability while they play. Casagami and Autogami are sustainably developed solar lights in the shape of houses and cars, made from recycled or PEFC/FSC paper and cardboard, which in turn is also recyclable. They use green inks that are certified as non toxic. Weighing less than 100 grams and with a flat packaging, all Litogami’s products can be mailed in an envelope for a low carbon footprint. Litogami commits to a caring and responsible society, by working with institutions for handicapped persons near Agen and Paris and employing people with special needs for packaging and expedition. They also help associations that work with children, in France and internationally by offering reduced prices and making donations. Londji is not only a beautiful fishermen village in Cameroon but also a project initiated in Spain several years ago with emphasis on art, toys and games. in 2004, their initial full focus was on traditional toys and games, often forgotten, that were combined with their own designs. 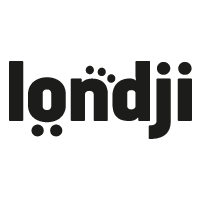 Now, Londji keeps growing thanks to the work of a team that uses the following ingredients: enthusiasm in making honest products, good doses of imagination and some drops of innovation. Londji’s games and puzzles are made with biodegradable and recycled materials. Their design is amazing and unusual. Claim the right to be kids without being discriminated for age reasons. Educate kids’ aesthetic taste, they are our future. Give toys the dignity they deserve. Sharing is part of the game. Playing is spending a good time with the people you love. Be honest as our grandparents taught us. Milaniwood is an italian toy company that, since 2008, produces its own collection of wooden toys, games and building blocks for children, as well as wooden design objects created by a team of young Italian designers. The production is carried entirely by Tamil, its sister company run by the same family. The company emphasize the production of high quality, long lasting and eco-friendly products, such as building toys, skill games, traditional board games and their new interpretations, creative toys, recycled elements for educational activities, do-it-yourself and crafted arts, funny games to learn the colours and collectible wooden animals. 100% made in Italy, eco-friendly, innovative, safe products attentive to design and creativity. Milaniwood designs and produces objects, games and toys that are more quality oriented and more aware of ethical and ecological issues. The italian toy company uses FSC-certified wood in a conscious effort to improve quality and environmental standards by reducing the impact of the production of wooden components and objects. Customers have the opportunity to buy products deriving from eco-friendly forestry in respect of the natural and social environment. Zoe Miller and David Goodman are the names, brains and hearts behind Millergoodman, a toy company based in Brighton on the south coast of England. They create innovative toys which encourage imagination and open ended play. Their modern design twist on the classics, are for the young and young at heart and have been awarded several design and educational awards. 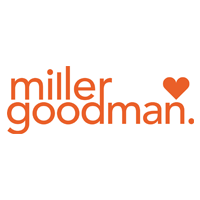 At Millergoodman, they are strong believers that “less is more” so they design easy to use, simple shapes, undefined forms and patterns that encourage and engage children to play again and again. All their designs stand or their own right or together, to create even more imaginary worlds and characters. Millergoodman toys are made with rubberwood and non toxic inks. They are fun, safe, built to last and to be passed on or handed down to future generations as heirlooms. All toys are tested by an independent lab and conform to U.S ASTM and European EN71 Standards. Millergoodman toys are designed in the UK and made in Thailand. We opened an exception to the “made in Europe” criteria because of the widely recognized and awarded high educational value and wonderful design. ÖkoNorm high quality arts and crafts materials are all ethically made in Germany, using a selection of renewable raw materials, that are non-toxic, compostable or recyclable and don’t pollute the environment or natural resources. This careful selection guarantees healthy and ecologically sound products which will fully meet the demand on modern and contemporary products. OkoNorm’s eco range of products includes paint, crayons, pencils, chalk and modelling clay that come with minimal eco-packaging – these are ecologically meaningful products with minimum impact on the environment during the production, use and disposal. 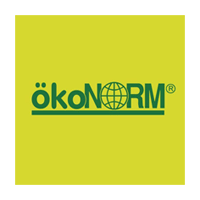 Most of OkoNorm’s products are certified by ÖKO-TEST magazine and have obtained the toy certificate from Spiel Gut, a sign of high quality toys that will challenge and stimulate children, while appealing to green parents, Montessori schools and Waldorf educators looking for natural craft materials. Elvire Laurent & Marie-Cerise Lichtlé are the two Parisian graphic designers behind OMY DESIGN & PLAY. Together they imagined a new creative concept in an unexpected format, which today has become their classic: the giant coloring roll. 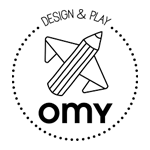 OMY creates and designs joyful, graphic and smart products for the entire family. Decorating becomes a game, a moment where friends and family can create and share together. Each product can be easily recognized by the surprising sizes, bright colours and fun sense of humour. All of OMY products are imagined and designed in Paris, where special care is taken when selecting all of the materials and the originality of each new item. 85% of the products are then produced and stored only a few miles away from the studio, to ensure a lower impact on the environment and to support the local economy. These are values that are dear to the brand and the social impact is calculated with each new product produced. Kerry and Daniel Layton – husband and wife team from Devon in the UK – love shapes, texture, colour and pattern! Seventy Tree creates fun and quirky prints and posters to make you smile! Their design is inspired by the natural world and the magic of childhood. So it’s only natural that they use nature friendly material! Seventy Tree uses recycled materials and vegetable-based inks for their products, local eco-printers and packaging. Besides their own creations, Kerry and Daniel also feature pieces by friendly brands that compliment both their aesthetic and ethics at Seventy Tree. Siebensachen by Jörg Adam & Dominik Harborth, combines the contemporary design of the international, creative metropolis Berlin iwith the care and tradition found in small craft businesses and manufactures in Germany. Since the late 1990s, these two product designers have been collaborating in their company in Berlin-Mitte district. The designs developed by Adam+Harborth for their international clientele range from exclusive accessories, complex corporate identities, big exhibitions to a diamond jewelry collection. From their S7, we selected their wonderful music boxex, made exclusively for Siebensachen in a small family-run manufacture in the Black Forest, using solid beech wood which is manually sanded and polished with natural oils. In their Hannover, Germany based design-studio Berit Lüdecke + Heiko Büttner create award winning designs. SNUG.STUDIO products are clear and minimalistic, but always with a little twist that will bring a smile to your face! We are fans of their simple lines and creativity, and love their recycled paper prints and wood mobiles. VARIS Toys story is about wooden toys from our childhood that make all our inventions and discoveries emotionally valuable and unique. When we grow up, we often remember our childhood – a time when our best entertainment was a cardboard doll-house, grandfather’s handmade wooden tractor or castle built by sand. They all were our toys. VARIS Toys creates educational, ecological and high quality toys toys that focus essentially on three things: ecology, development and aesthetics. Their wooden toys are essentially made in northern birch, a raw material given by nature that is both attractive and long-standing. The wood is sourced by suppliers, that ensure responsible forest management. And no piece goes to waste, as the manufacturing remains are used for heating of facilities and drying of raw material! Most craftsmen have been working in VARIS for more than 20 years and some even from the very beginning of the company. They have a partnership with a local social house which provides opportunities for employment for those with developmental disabilities. VARIS Toys is involved in other socially aware projects including providing play resources for children of low-income families and in several children’s hospitals contributing to the children’s recovery process. Wodibow combines nature and design. Saddened by many people’s irresponsible and excessive use of plastic, wodibow uses 100% natural products free from any components that can pollute or damage the planet, people or animals. Wodibow creations are born and raised in Segovia, Spain, and they also think it’s important that you know where Wodibow comes from, because being from a particular place puts a mark on one’s character. Wodibow donates to organizations that promote rainforest conservation and work with Fundación Personas, an association for mentally disabled people. Playing with wodibow products challenges memory, wit, intuition and dexterity. Let your imagination fly, play and have a great time. You will rapidly fall in love with the wonderful and unique wooden animal characters. Gosia and Wiesiek Borowy* own a three-generation family business in the Beskidy Mountains, Poland. Wood has always been a part of their family, either in the making of furniture or toys. Grandpa Borowy* was right saying that “creating for children brings the happiness to adults”. Gosia and Wiesiek know this feeling very well. and they created Wooden Story from love of nature and for happiness of children. 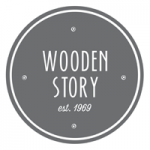 Wooden Story’s toys are inspired by nature and created in beautiful, natural surroundings. They say that toys come to us from the forest, they smell of wood and you can still hear the sound of wind in them. While playing with wooden toys, children become a significant part of this world in a very natural way. Ideas like recycling, environmental protection, the beauty of trees and colours will be with them throughout their entire life. Wooden toys improve senses, they are soft to the touch, catch your eye with natural colours and they smell of wood. polished finish. Toys are not “poisoned” with toxic paints or varnish, that gives us the certainty that your children will play with toys free of any harmful substances. There is one more thing that makes these toys so special – they can be passed from generation to generation. We hope, that your grandchildren will discover their own Wooden Story in the toys of your children. If so, forest, water, air and our whole planet will benefit from this. Wooly Organic is a family owned business founded in 2011. In that very same year it was the winner of the Swedish business prize in the category “entrepreneural social responsibilty”. The development of the soft toy animals was a cooperation with designers of the Latvian academy of arts supported by child psychologists. Besides their environmental concerns, Wooly Organic also takes their social responsibilities seriously, and their staff includes some visually impaired workers. Wooly Organic is one of the greenest producers you will ever find: their toys are made from nothing but natural materials, including certified organic, GMO-free cotton, GMO-free corn filling, maple wood and organic beeswax. Even packaging is ecologically made from FSC certified cardboard and printed with soy-based inks. All textiles used for Wooly Organic products are certified by The Global Organic Textile Standard (GOTS). This means that certified organic cotton is grown without the use of toxic fertilizers or pesticides, and the fiber did not come from a genetically modified organism (GMO). Wooly Organic has also invested in a natural filling for their toys. They use PLA corn filling, which is a type of polyester, made by extracting the GMO free corn’s starch and turning it into sugar which is then fermented. This renewable resource is biodegradable, compostable, naturally hypoallergenic, antibacterial and machine washable. The corn filling is Oeko-Tex 100 certified and is free from the top 100 pesticides or harmful chemicals. Their toys are manufactures in Latvia, except wooden parts, which are manufactured in Germany from natural maple wood and treated with organic beeswax.